Heard Around the Nation – Farmers Market Customers Sharing the Love! Enjoy these great comments from farmers market supporters from across the nation! Send your market some love by leaving a comment of your own. And if you haven’t voted in the America’s Favorite Farmers Markets or told all your friends to vote, do so today because the contest ends August 31st at Midnight EST! This market has heart. It was the result of a community planning process where a diverse group of locals voted to start a Farmers Market. It has grown each year and had diverse local food such as seaweed, berries, fish, oysters and of course garden vegetables. The market takes place in the historic Alaska Native Brotherhood Hall camp #1 and bring out huge numbers of Native and Non Native people. This is one of the most unique and most community building markets in the country. My market is the best community market because the farmers know me and know what I like to eat. The farmers have a personal connection to the people they are selling to and greet you by name. The market manger is always moving around and connecting with the public and the farmers. He has great free recipes which give me a different way to use what is at the market. I love seeing friends at the market and visiting in the comfortable, welcoming market atmosphere. It also makes me feel like I am doing something good for my self, by eating right, helping local famers and see in my friends. This is the best market ever! Locally grown food (including organic and heirloom produce), friendly venders, and various community activities make our Farmer’s Market a fun, nutritious destination. In an area where housing tracts and shopping centers are replacing groves of fruit and nut trees it is reassuring to know that people are still using their land to provide healthy food for our population. A fresh ripe garden grown tomato is better than a candy bar any day! I love my farmer’s market for a few reasons. 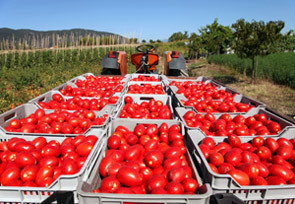 1) The growers do an outstanding job of bringing to the table fresh slow food. 2) They have jumped through tons of red tape to include the citizens who shop with food stamps. So all of our citizens can eat healthier, and support our local growers. 3) The farmer’s market is more than just local food, it is about our neighbors relating with each other. People talk, and smile to each other. Our local farmer’s market brings our community together in a basic fundamentally human to human level. 1. Variety of vendors: organic fruits & veggies, beautiful cut flowers, cheese vendors, fish monger, poultry farmer, bakers, coffee roaster, more! 2. Meets twice a week: Friday mornings and Monday afternoons, giving more people a chance of buying local. 3. Welcoming to families: the Friday morning market often features puppet shows or other entertainment for children, encouraging families to bring their children to market where they are exposed to farmers and “real” food. 4. Samples – on occasion, the vendors provide samples of their food for tasting. I bought haloumi cheese because I was able to taste it (LOVED it). 5. FUN!! I enjoy shopping here each week over the summer. The freshly picked produce is delicious and nutritious and I am glad to be able to support local farmers. It’s a wonderful sense of community. Our town is small with only 2 grocery stores,, the Farmers Market allows us to have “Real” fresh vegetables with out the packaging and chemicals that we are reduced to accept from the stores. The Market organizers are there every week to talk to the customers and the vendors bring the best they have to the markets. The prices are usually less than the stores and we can hardly wait for Saturday to come around to enjoy the best tasting fruits and veggies of the week. Amazing selection. It has such a carefully curated selection of foods. I love the care and respect for the land that the farmers that sell at this market have. It inspires me to eat locally sourced food. Supporting local farmers, as well as the small businesses and artisans that so prevail our beautiful country is vitally important. Farmer’s markets present us with the healthiest, freshest way to do this. To get a real peek at what America really is all about, all you need is to leave the concrete jungle, and make your way to your local farmer’s market. I love that the vendors are the actual people producing the meat, vegetables, and fruit. They’re always happy to answer questions and talk about the produce. I’ve gotten a few really good recipes and ideas about preparing produce from the farmers. It’s the very next best thing to having a huge garden at home! My grandfathers all were family farmers with small gardens. Some of my great grandfathers had larger farmers. Most of my family lived long lives 80’s, 90’s, 104 years old. I feel it was due to growing their own foods and fishing the local waters. We look forward to the farmers markets in the summer to buy as much local grown produce as we can. I now can alot of our food we eat in the winter, like my g-mothers before me. My g-grandmother (lived to be a 104) always told me, it comes in a box it will kill you. I respect and appreciate my local farmers. Save Our Farms!!!! Note: We will attribute these comments to the markets that they are associated with when the America’s Favorite Farmers Markets contest comes to a close on August 31st at Midnight, EST. This entry was posted in farmers markets, Local Farms and Food, States and tagged America's Favorite Farmers Markets, farmers markets, local food on August 25, 2010 by Gretchen Hoffman.